Size: 512 MB - Point your campaign in a winning "direction" by using the compass USB 2.0 flash drive as a promotional giveaway! Measuring 3 1/8" W x 1" H x 1/2" D, this ABS plastic and metal memory drive offers a 1-year warranty. Have your logo silkscreened on the bright surface for the best brand exposure. 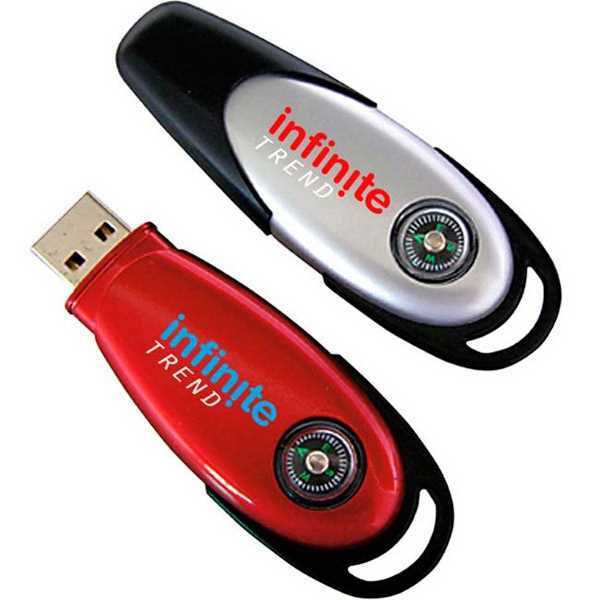 This drive makes a great employee gift and also a cool promotional match for technology and multimedia firms and more. Imprint Size:1 1/8" x 3/8"
Less than minimum not available on this product., Paper Proof: a no-charge mandatory paper proof is required on all USB drives. Production time begins upon proof approval., Spec samples/product proofs not available.